It’s no secret that insider threats pose a huge risk to organizations globally, but studies show that very little is being done to protect against this threat. New SANS Institute research revealed that that 40% of respondent’s rate malicious insiders are the most dangerous threat their organization could face, followed by accidental or negligent staff members (36%). While over 60% claimed their organization had yet to fall victim to an insider attack, report author Eric Cole feels this number is very misleading. 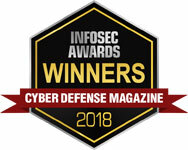 “It is important to note that 38% of the respondents said they do not have effective ways to detect insider attacks, meaning the real problem may be that organizations are not properly detecting insider threats, not that they are not happening,” Cole claims. Cole further explained that end users are now seen as “the entry point of choice” for malicious attackers, meaning your own employees could pose the largest threat to your organization. Only 18% claim to have incident response plans developed with provisions in place for insider threats, but it is important to note that 49% are currently developing such programs for their organization. The SANS 2016 Threat Landscape Survey found that 48% of attacks bypassed endpoint defenses through user error, and 38% through social engineering tactics. Employees being ‘over privileged’, in terms of rights and permissions and access to roam networks and steal company data, is one of the biggest vulnerabilities found within an organization. Organizations must ensure that access controls are being strictly enforced and that they have a solution within the IT environment to detect the presence of malware and make sure hardening measures are in place.